"Tune in to heavy metal with our striking Foil Eyes 28 Color Eyeshadow Palette, a collection of shocking, pigment-packed, multidimensional metallics. The ultra-saturated mix of neutrals and jewel-toned brights -- from icy ivory and super-charged charcoal to flashy fuchsia and electrifying aquamarine -- dares you to experiment and give your makeup a jolt. Blend, layer and play with adventurous placement to rock your world and make your eyes really pop!" 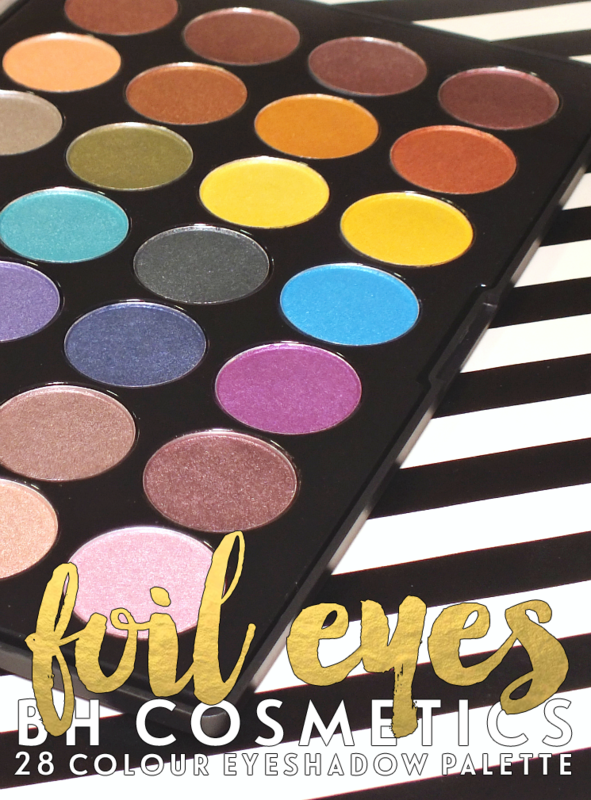 As you can deduce from the name, the Foil Eyes palette is home to a whopping 28 shadows. I never really got into the large palettes when they were massively popular, so this is the only one in my collection. While this is a bit larger than your average palette, it's not oversize and lacks bulky packaging that can make it harder to store. 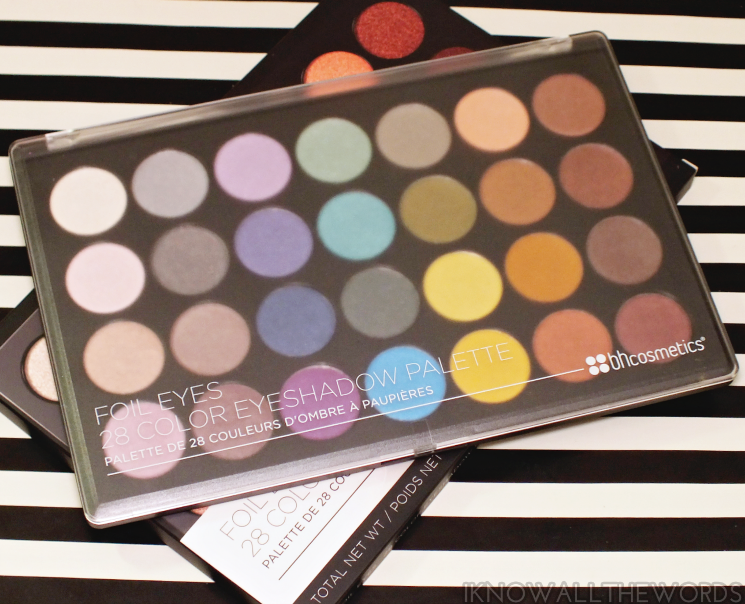 The black palette has a semi-frosted lid which allows you to peek at the shades inside. A very nice touch when you have too many palettes to choose from. The shadows are standard size, but could be glued in better, as many of mine are loose and on the verge of falling out. 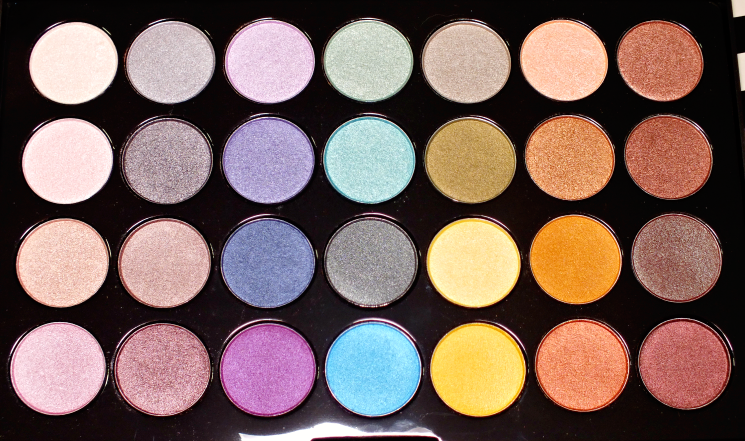 As for the shadows, you get an assortment of what BH calls 'multidimensional metallics'. As much as I love an alliteration, I have to disagree a little. The shadows are more frosty, with varying degrees of shimmer. Most are just frosted, but a few are more stain-y with fine shimmer. While they're not quite metallic, they are pretty incredibly pigmented and apply/wear really nicely. They do apply with more foil and sheen when applied wet, I should add. I love that they pack a lot of pigment and don't suffer from fall out. They blend really nicely together and with other shadows- you're likely going to want to add a matte or two to any eye looks you create. Overall, this isn't exactly what it claims to be, but it is a nice addition to a collection if you need a bit more colour and radiance. The range of shades offers really wearable colours with a few bright pops and the neutrals we all love. Of the 28 shades, there are really only 2-3 that I won't get much use of. What do you think? Do you like these shades? 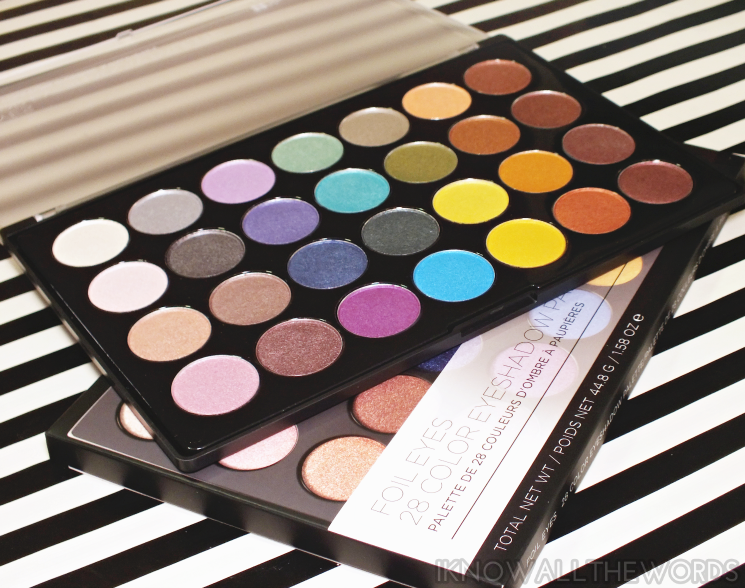 Have any BH palettes in your collection you recommend?